Is there really no Canadian events? While we are sending kits to Canada, we were not able to get a list of stores from our distributor. I’ll certainly add them when we have the information. Wondering same thing i wanna buy it but nowhere in canada except toronto even know it exists dragonball movies sold out every showing all over canada definitely a market for it here. There will be one at the freckled frog on release day also. What will the format be for release events? Please explain in detail as the only time I ever played sanctioned DBZCCG was a Cell Saga release event and don’t remember how it went. Thanks! Our suggestion is a sealed format – 1 starter deck and 2-4 booster packs. Since a Mastery comes in each starter, it’ll be fine to use them for sealed events (even though you’ll have mixed Styles of cards). I would still follow Hero/Villain restrictions on cards and Allies. Are these events for this Friday, or just places to play in the future? Will promos from your prize kits be given out at these events? Are they all day events, for I see no schedules. This list serves two purposes – each of these stores either a) is already running an at-launch or regularly scheduled event or b) ordered product and requested a kit. For this weekend, I would contact the store and confirm their schedule. I’m sure if there is enough interest, they would run an event if they haven’t already set one up. What is the proper way to contact Panini to request kits for our store? And what exactly are in the kits? We want to have a launch tournament this next weekend. Please have the store contact send an email to dbz@paniniamerica.net and we can set something up. To speed up the process, we’ll need the address/contact info, event dates and projected attendance. Heelo, Is there any type of OP Kits or system being made for the game? I run a local store and we have been seeling the product pretty well, and want to get a league/tournament series started. Please email dbz@paniniamerica.net and we can set you up with tournament support. I live in Cincinnati, OH. Are there any stores near me that just sell the cards? 45208? The ones on the list are the ones reported to us. You may also want to try Toys R Us or possibly online. Who do I contact to correct an address for a store? The address listed for Dream Wizards is incorrect. I own a store that recently started getting into the game (since we can get starters again) how do I get added to the list of stores and also is there organized play through Panini? Please send an email to dbz@paniniamerica.net and we’ll get you set up for tournament kits and put you on the store list. Thanks for everyone who came to LEARN DBZ DAY. WAS A BLAST! Can you ad Legion Games in burnsville, MN and Dreamers Games in Minneapolis, MN. They both are tournament stores that I work at. Please have both stores contact us at dbz@paniniamerica.net and we’ll get them set up. Hey Guys there is a new spot to play in the West Valley, Arizona. We are hosting Weekly DBZ events. This is incorrect about Yeti Gaming	2761 South 6th Street	Springfield	IL	62703. They do not support the DBZ Cardgame or tournaments. 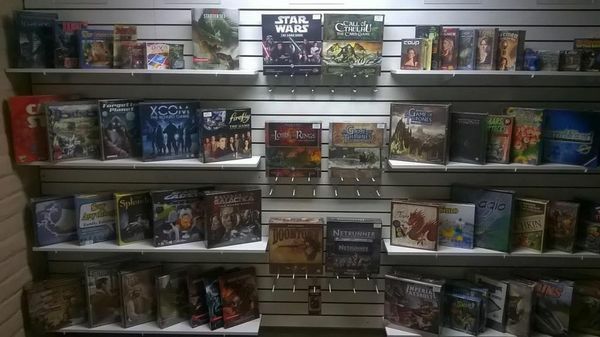 Hi, I am the owner of Round Table Games in Carver, MA. I currently have DBZ OP scheduled in my store and was wondering how I can get on to the store finder. I’ve added it; thanks for supporting the game! Thank you so much for the add. We are really looking forward to getting some great games in the works. For anyone interested we Have DBZ on our schedule every Sunday at 4pm. Come on in and help us get this going strong! Decks and dice in Chillicothe Ohio does not carry DBZ cards. The Oracle in Saginaw isn’t too far away! We play every Saturday and some Sundays! Which reminds me I wanted to comment and see if they would add it to the list! We support Mata X Justice League Game and will host tournaments. Thanks; I’ve added your location to the list.